Private equity firm Carlyle Group has bought a 9% stake in SBI Life Insurance Ltd for about Rs 4,635 crore ($652 million) in its biggest-ever investment in India. Carlyle purchased the stake from BNP Paribas Cardif SA, the Indian insurer said in a stock-exchange filing on Friday. The insurance unit of the French bank sold a 9.23% stake in total in SBI Life, reducing its holding to 12.77%. The stake sale by BNP Paribas will help SBI Life meet the regulatory requirement of a minimum public float of 25%. Before the sale, State Bank of India and BNP Paribas held an 84.1% stake in the insurer. India’s biggest lender owns a 62.1% stake in the insurance company. Stock-exchange data showed Carlyle picked up 90 million shares of SBI Life at Rs 515 apiece. Shares of SBI gained 5.5% on the BSE, valuing the company at Rs 61,225 crore. However, this is down from the Rs 70,800 crore valuation at which it had started trading. SBI Life was among a bunch of insurance companies that went public in 2017. Its public offering was covered 3.7 times thanks to strong participation from institutional investors, though demand from retail and high net-worth individuals was low. Carlyle said in a separate statement that it made the investment via an affiliate of its fifth Asia fund, which had raised $6.55 billion last year for buyout and strategic deal across sectors. Explaining the rationale behind the investment, Sunil Kaul, managing director of the Carlyle Asia buyout advisory team, said that the life insurance industry in India has strong growth potential thanks to favorable demographics and an increasing focus on financial savings. The PE firm said on Friday it has been investing in Asian financial services companies for 20 years and has deployed more than $4 billion across at least 15 private equity investments as of December 31, 2018. In India, Carlyle is currently invested in nearly 20 companies, according to VCCEdge, the data research platform of VCCircle. Its recent investments in the financial services sector include PNB Housing Finance Ltd and SBI Card. The PE firm's India portfolio also includes e-commerce-focussed logistics company Delhivery. The investment in SBI Life is the biggest for Carlyle in rupee terms, though it matches another bet in dollar terms. 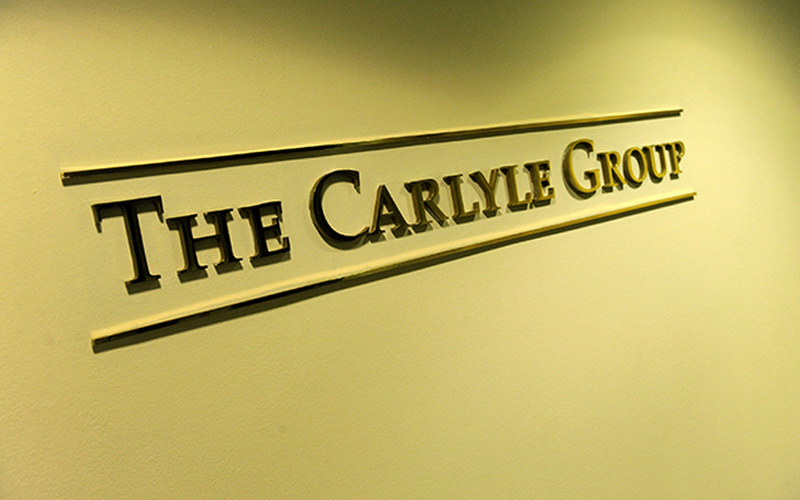 In 2007, Carlyle had bought a 5.2% stake in Housing Development Finance Corp, India’s largest mortgage lender, for about Rs 2,650 crore, or $650 million. However, the rupee has weakened sharply against the greenback since then. In February 2015, Carlyle picked up a 49% stake in PNB Housing Finance when it bought out Destimoney Enterprises Pvt. Ltd from New Silk Route. It is believed to have paid somewhere between $200 million and $250 million in that transaction (estimated Rs 1,300-1,625 crore based on the exchange rate at the time). When PNB Housing went public in late-2016, Carlyle’s stake dropped to around 37%. It partially exited the company in early 2018, and the remaining stake is now worth Rs 4,936.37 crore ($695 million) based on the December 2018 shareholding data with the stock exchanges. Carlyle also has significant stakes in SBI Cards and SBI Cards & Payments Services. It also holds a stake in South Indian Bank Ltd.
Carlyle has made several decent exits from its Indian financial services portfolio, including Edelweiss, IIFL, Repco Home Finance and HDFC.